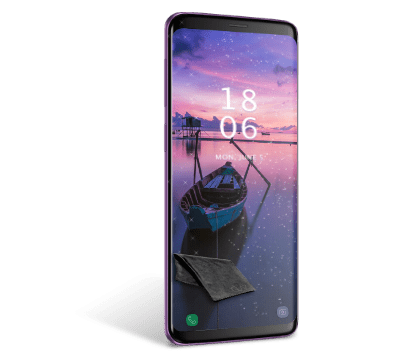 The new top-of-the-line-product 2018 from the company Samsung calls Samsung Galaxy S9/S9 Plus. As a result, the new Galaxy S9/S9 Plus is an update of Samsung Galaxy S8/S8 Plus and convinces due to the strong hardware as well as a new camera duo. Therefore, the new camera combination in Galaxy S9/S9 Plus takes impressive pictures and videos and plays it on the fascinating OLED screen. Finally, the Samsung Galaxy S9/S9 Plus carry on where the S8/S8 Plus stopped and where errors have been present. 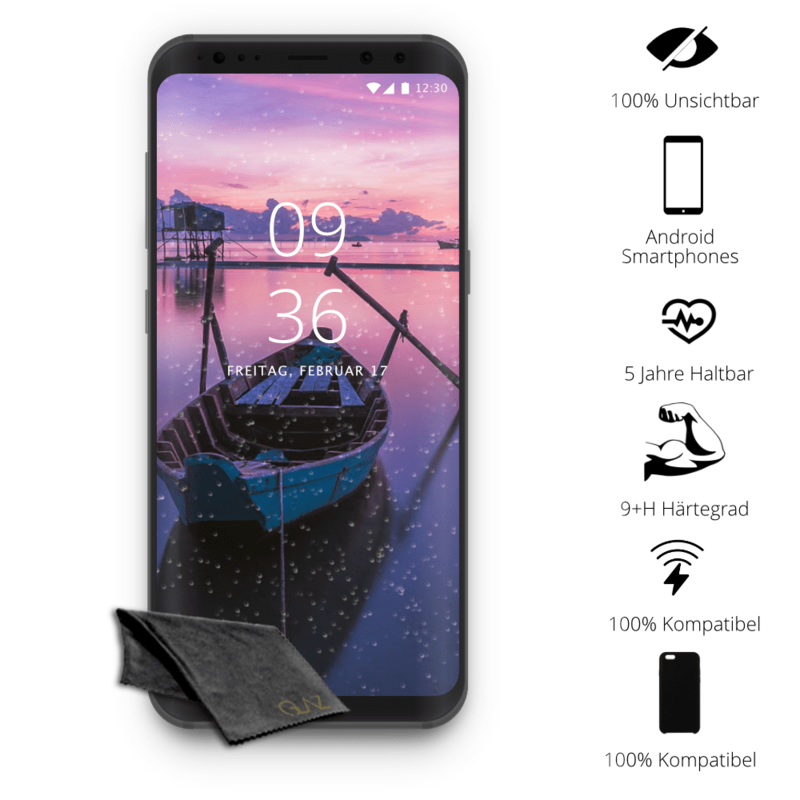 Furthermore, you should also count on an optimal screen protector and protect your Galaxy S9/S9 Plus with a liquid tempered glass S9 Liquid 2.0 in 2018, because the repair costs are high. The liquid tempered glass S9 from GLAZ is more than just a screen protector, it is an innovation in this field. For this reason, three layers of the liquid tempered foil S9 are applied to the edge screen in a special 3-layer process. As a result, the layer thickness per layer has only incredible 1.5 micrometers. The Liquid 2.0 is thus a pure S9 innovation. The liquid tempered foil S9 offers you an optimal protection of the edge screen down to the finest detail. Because with the liquid tempered glass S9 form, even the sensitive screen curves of the edge screen are perfectly protected. At the same time, Liquid 2.0 is 100 % invisible with full OLED color brilliance. 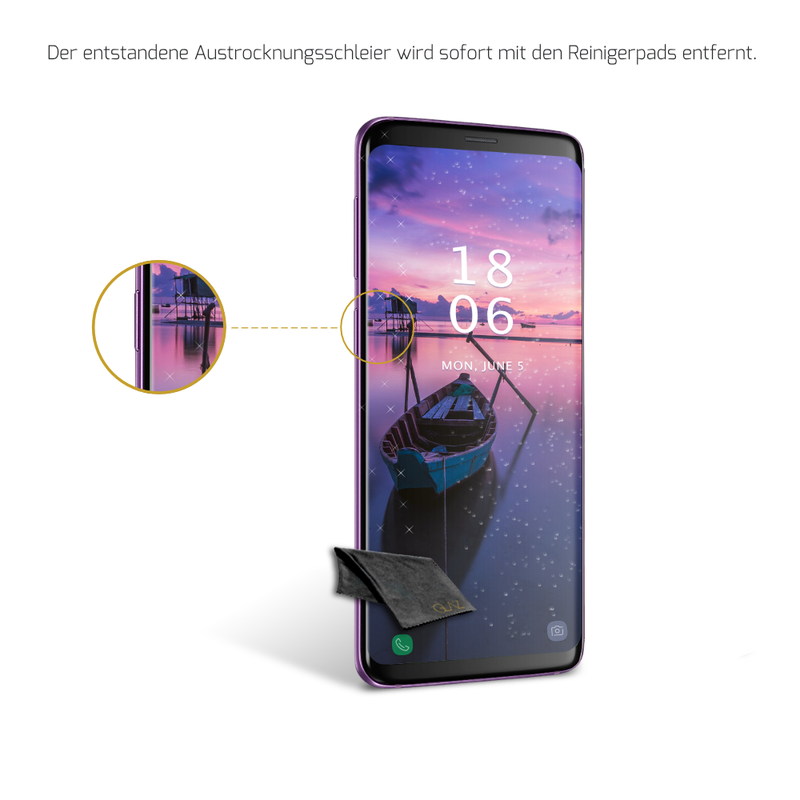 In contrast to a conventional protective foil S9, the liquid Samsung Galaxy S9 tempered glass has no annoying borders. Due to the unique 3-Layer-Process, the tempered glass S9 case gets an impressive hardness grade of 9+H. Furthermore, the liquid tempered foil S9 is ready for use immediately after installation. And after only 10 days of drying time, the Liquid 2.0 has reached its full hardness. Our protective foil S9 Liquid 2.0 offers you an invisibly strong protection against scratches and other damages. Thanks to our innovative tempered foil S9, you no longer have to worry about air bubbles and dust during installation. After applying Liquid 2.0, you can admire the elegant design of your Samsung S9 in full brilliance. Furthermore, the tempered glass Samsung S9 is waterproof and can be used under water without hesitation. The Liquid 2.0 lasts longer than any Samsung S9 screen protector with a durability up to 5 years. With this fascinating durability, you don’t save just money, but also time in the long term. By means of the ultra slim tempered glass S9, you can live your own lifestyle. Due to the low layer thickness of just 4,5 micrometers, any Samsung S9 cass, cover or even your individual designed case will be suitable. When you buy a tempered glass S9 from GLAZ, you’re not just buying a screen protector. 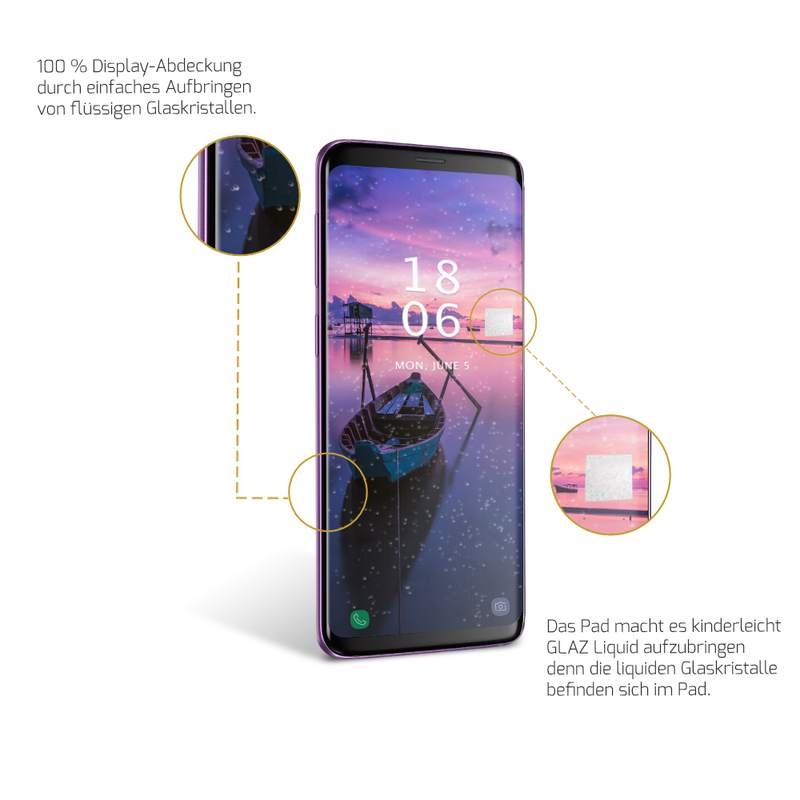 Accordingly, we provide you a simple and pictured installation guide as well as an installation video in German and English, especially for the liquid protective film S9. In addition, our friendly German support helps you by mail, phone and via our social media channels Facebook, Twitter and YouTube. The Liquid 2.0 is a pure bulletproof glass S9 innovation. A liquid glass that reflects the futuristic design and innovative power of the Samsung S9. Youtube Star TechFloyd takes the acid test with a Samsung Galaxy S9 and amazes over 200,000 YouTube fans.